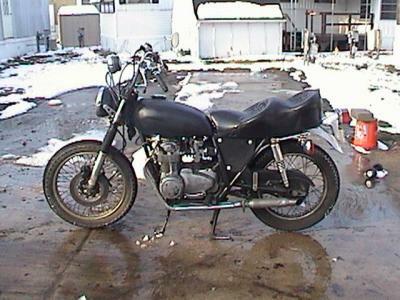 Not a chopper yest: I bought this Honda CB 550 a few years ago. It was a junk bike, parts sold on ebay but I saw potential. I customized it to my liking budget at that time. Now I am making time to go futher in the off months to customize it further. Now thst I have aqquired the knowledge of fabrication, and allied myself with biker friends.